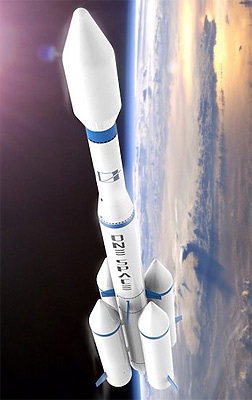 OS-M or Chongqing SQX is a small solid fuel orbital rocket designed by the Chinese company OneSpace. The OS-M1 version consists of a three stage core. The OS-M2 version is augmented by two and the OS-M4 version by four strap-on motors. Reportedly the OS-M rockets use demilitarized solid rocket motors from retired missiles. Stage one has a fixed nozzle with steerable thrust vanes and fins. Stage two, which is identical to stage one, uses also thrust vanes and fins and stage three, identical to the OS-X prototype (? ), uses only thrust vanes. Possibly an additional post boost stage for trim maneuvers and apogee rising is also included. 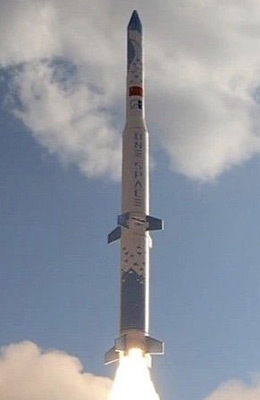 The maiden flight of an OS-M1 on 27 March 2019 failed to reach orbit due to a gyroscope failure after 45 seconds of flight. 2 × ? ? ? ? 4 × ? ? ? ?